Inside the window of day three of the Phillips Snowcase is their Instigator Doppelbock which brings a Caramelly and creamy taste with a noticably thin mouthfeel. A touch of sweetness rounds things out and a bitter finish to wipe the honey from your palate. Very smooth for a beer with an ABV of 8.5. 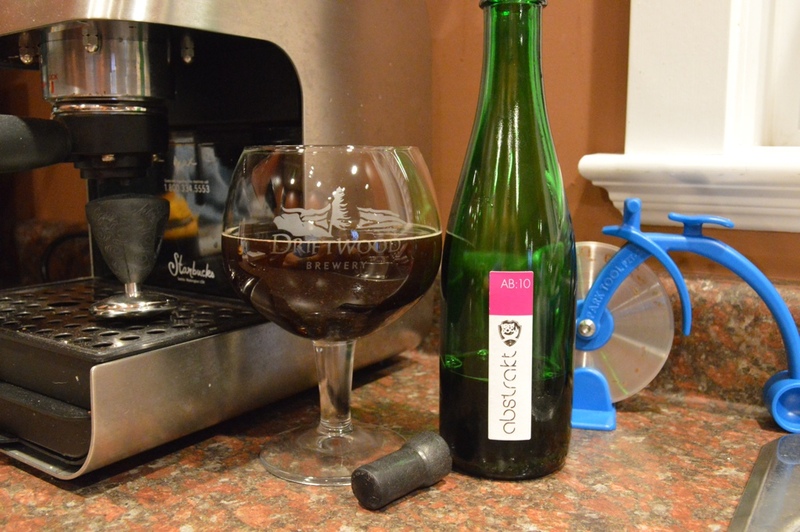 Throw your preconceived notions of beer styles away and simply pour this beer into a glass and enjoy it. Thumbing it’s nose at conformity is this Black Saison released in December with a heap of ginger. Saisons are supposed to be crispy white aren’t they? And released in the spring, right? And ginger? GINGER?!?! Does it really exist??? Yes Victoria, as certainly as love for great beer, generosity of your fellow beer drinker and devotion to quality, locally-produced craft beer made by people with passion exists and you know that they abound here in the Beer-Capital of Canada and give love to the fruits of their labour, there is a Black Saison with Ginger. 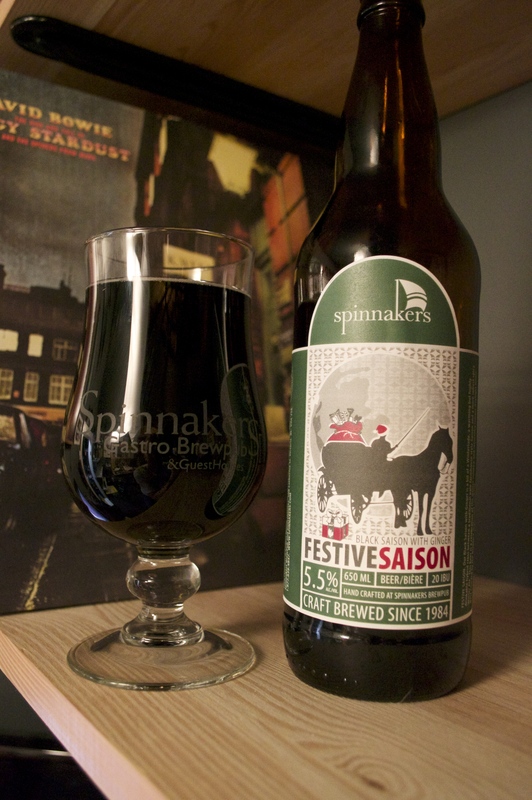 As complex as this beer may be, it remains highly quaffable. Grab some soon and drop it into the stocking of someone you love. This spiced ale from Tuscany, Italy pleasantly exudes chestnuts prominently along with earthy herbal tones, nutmeg, yeasty esters and Thrifty’s Chipmunk Bread. Pours an effervescent slightly off-white head, micro-bubbly and holds for a fortnight. Savour this one in front of an open-fire or the Holiday Fire Channel in a pinch. Serve in a goblet or tulip and pair with sourdough and spinach dip, Kalamata olives, Gouda or hummus and naan. A very sweet clerk at Six-Mile Liquor Store asked me to give her a full review, so here you go. 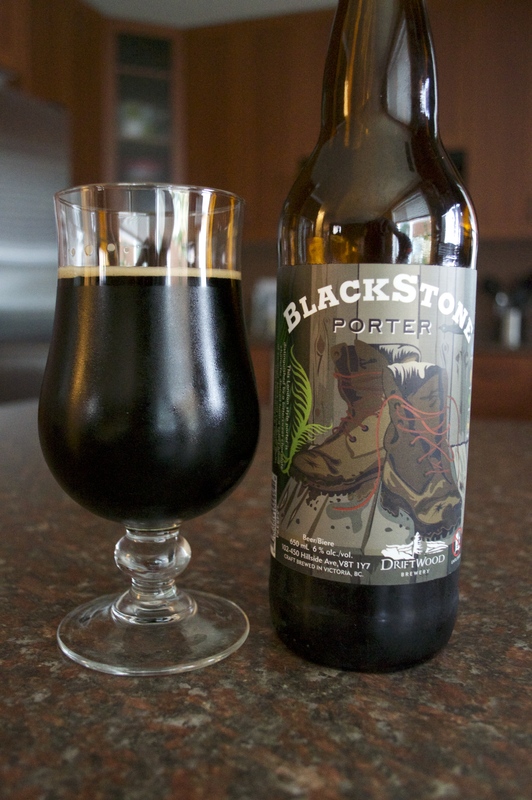 Driftwood Brewing Company‘s seasonal Blackstone Porter is back again. 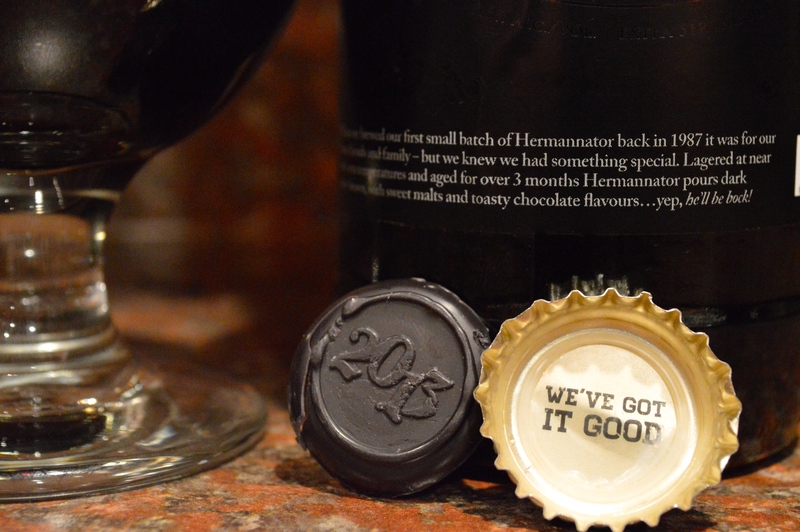 Plenty of chocolate and black malt give this English porter a gentle sweetness and just a bit of bitterness to keep your sweet tooth from running amok. Whether or not you take part in Black Friday madness, a glass of this will make everything better. 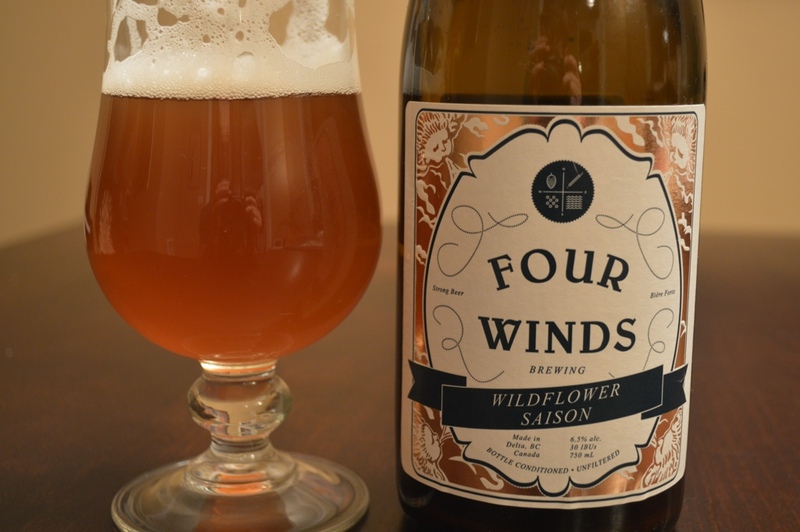 The spices and earthiness in this Saison have taken a sidestep to let the chamomile and elderflowers share the limelight. Combining an effervescence that you can hear with a beautiful white Belgian lace, a gentle flowery nose and a calmingly smooth and slighty fruity taste make this a truly multi-sensory pleasing beer. 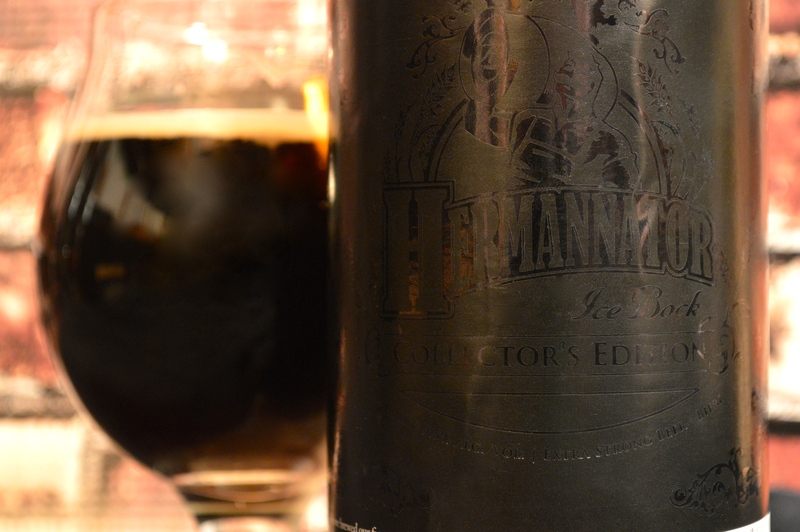 From a brewery who knows a thing or two about big beer is this monumental beer. Aged in 600L fresh red wine barrels from Spain in 2012 this beer imparts exceptional flavours and packs a hefty uppercut to your thinkin’ box. Hot liquor nose with vanilla and roasted almonds. Definitely tastes boozy, but not 11.5. Nutella and spiced black rum. Worth every penny.